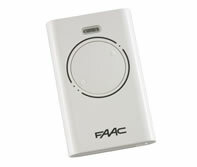 FAAC Control Pannels and enclosures 240 and 24v. 868mhz antennas and decoder boards. 230v and 24v Flashing light units from FAAC. 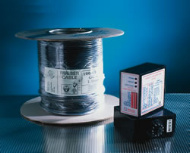 Flat, self aligning photocell receiver-transmitters for external installation, range up to 30m. Pair of aluminium posts for FAAC photobeams and safebeams. Wide range of 1, 2 and 4 channel Keyfob transmitters.